Directions: Drink 60ml per day before meals. 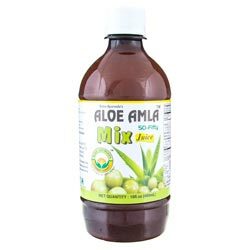 Enjoy Aloe Amla 50-Fifty Juice as it is, or dilute to taste with water. Store in a cool dark place and refrigerate after opening. Consume within 30 days after opening the container. Ingredients: Ghrit Kumari / Aloe Vera (Aloe barbadensis) Juice 50%, Amla / Indian Gooseberry (Emblica officinalis) 50%, Preservatives (Sodium Benzoate & Potassium Sorbate - less than 0.1% each). Sedimentation may occur due to natural fibres. 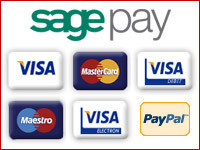 "Dear Spices of India, Just wanted to say great order them sundy got them today many thanks again will defo use u again..."